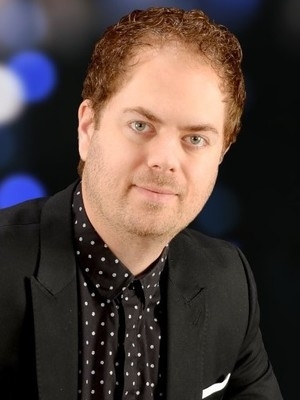 Scott MacIntyre is an acclaimed speaker, Christian recording artist, scholar, and author. Since his introduction into the public eye as the first blind finalist on American Idol, he has inspired audiences throughout North America and beyond with his dynamic messages on trusting God through adversity. "Scott MacIntyre recently performed and spoke at Scottsdale Christian Academy's 50th Anniversary Celebration Gala and Auction. It goes unsaid that his musical performance was beautiful, impactful, and inspiring. His songs with our performance choir brought tears to the eyes of many in the room. But beyond this, his spoken word was inspirational. 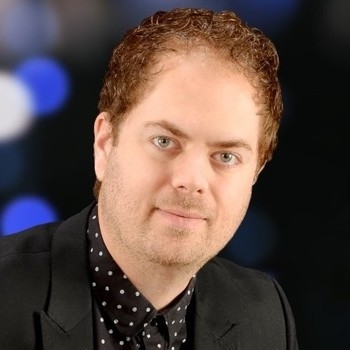 I have been involved in arranging these types of annual events for many years, and this year was by far the most moving event I have been a part of thanks to Scott MacIntyre, his music, his testimony, and his great ability to share his story in such a way as to reach everyone in the room. It was a record-breaking year for us." Hope Women's Center was delighted to have Scott MacIntyre for our recent Night of Hope Gala. Scott's incredible vocals and his message of hope through hard times were a beautiful representation of the struggles our women face on a daily basis and the power that HOPE can bring into the darkest of situations. Scott's participation in our event helped draw our largest crowd to date, and we were able to double our previous fundraising efforts. 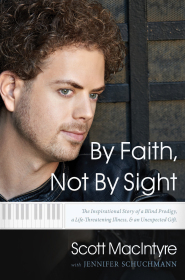 Scott MacIntyre's New Book "By Faith, Not By Sight" in Stores Now! We are not able to provide this information on the website. Please call us at (615) 261-4000 for more details!